Phillies fans that have gotten recent doses of well-regarded prospects Rhys Hoskins, Nick Williams and Jorge Alfaro may be wondering which other stars of the future could be making their way toward the big leagues when rosters expand in September. A player that stands a chance at getting the call for the second year in a row is outfielder Roman Quinn. The 24-year-old has been on the shelf since late May dealing with a strain of his UCL in his non-throwing elbow. However after a lengthy rehab period, Quinn is nearing readiness for full baseball activities in the coming days according to Phils director of player development Joe Jordan. The minor league schedule wraps up on Labor Day, so he won't be back with Lehigh Valley this year. "Quinny is feeling good," Jordan said. "He's getting close to getting really amped up with his baseball activities. I'm gonna guess that if we were pushing him to action, we could probably get him ready in two weeks." Though, not likely, Jordan stated that there is a chance of Quinn spending time in the big leagues during final month of the season. The more likely option is that Quinn will return to the Dominican Winter League to see action. "He's been in the league before and he wants to go play," Jordan said. "He understands, obviously, the fact that he needs to play and get ready for next year, so Quinny's doing fine. He really is." With Licey in 2015, Quinn tallied a .212 average with a pair of home runs, seven RBI and eight stolen bases in 25 games played in the DR. In 15 games with the Phillies last September, the switch-hitting Quinn sported a .263 batting average with five doubles, six RBI and five stolen bases. 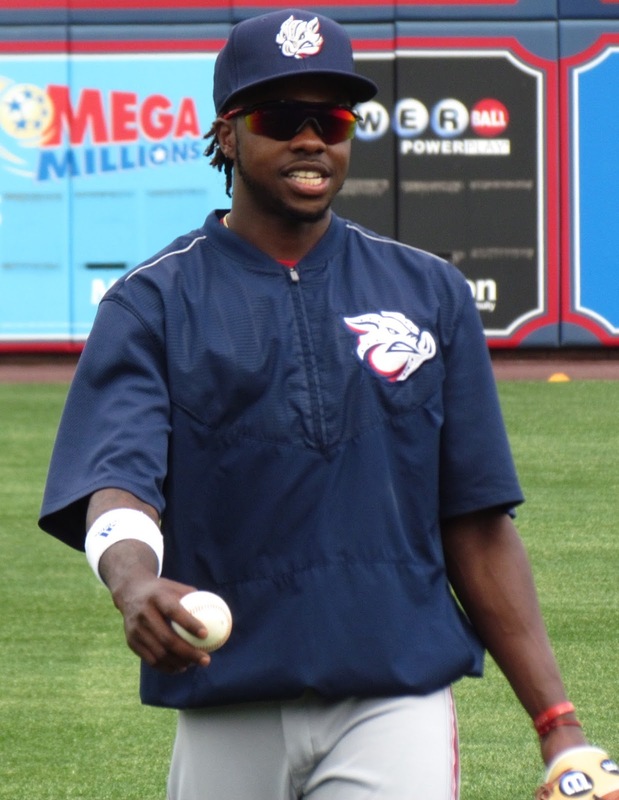 This year with the Triple-A IronPigs, Quinn, who was the Phillies' 2nd round draft selection in 2011, posted a .274 average with two homers, 13 RBI and 10 steals. Quinn has developed a reputation as an injury prone prospect, missing time with various injuries including a broken wrist, a ruptured Achilles tendon, an oblique strain and a muscle tear in his hip region. It's been virtually something new for Quinn to rehab each season. "It's unfortunate we're in the situation we've been in-- he's been in multiple times," Jordan stated. Jordan also spoke on other injured players including 19-year-old righty pitcher Kevin Gowdy. The Phillies' 2nd round pick in 2016 posted a 0-1 record with a 4.00 ERA while striking out nine and walking two in nine innings of work over four appearances last year with the Gulf Coast League (rookie level) Phillies. He has missed this entire season and recently underwent Tommy John surgery. "His outlook is he's going to miss most of, if not all of, 2018. I think, Jay, it's been reported that he's undergoing elbow reconstruction. So, that's where we're at. We've been through it many times with a lot of the guys and, so..." Jordan stated. Double-A reliever Alberto Tirado, sidelined since August 4th was also a topic of discussion. "Alberto had a little bit of kind of inflammation, shoulder discomfort. It's nothing serious. But he's at the complex now in Clearwater. He may, he may not pitch the rest of the year," Jordan said. Double-A All-Star third baseman Mitch Walding, injured on a collision with teammate Chace Numata while each tracked a pop up in the infield on July 25th, was also spoken of. "I think, optimistically, I mean he had obviously he's past any concussion type symptoms, but he had some fractures in his face, so we're hopeful at the end of the month he's going to be able to play, but we'll see. It's still a little of a wait and see." Jordan said. Lastly, Jordan offered some good news on the return of 22-year-old righty pitcher Grant Dyer, who helped the Class A BlueClaws reach the postseason last year after the Phillies made him an 8th round draft choice. Dyer missed this entire season following Tommy John surgery. "Grant obviously underwent UCL reconstruction. He's had a great rehab. He's probably going to throw some for us in instructional league and we'll see how it goes from there. We're going to get a chance to see him throw in instructional league," Jordan shared. 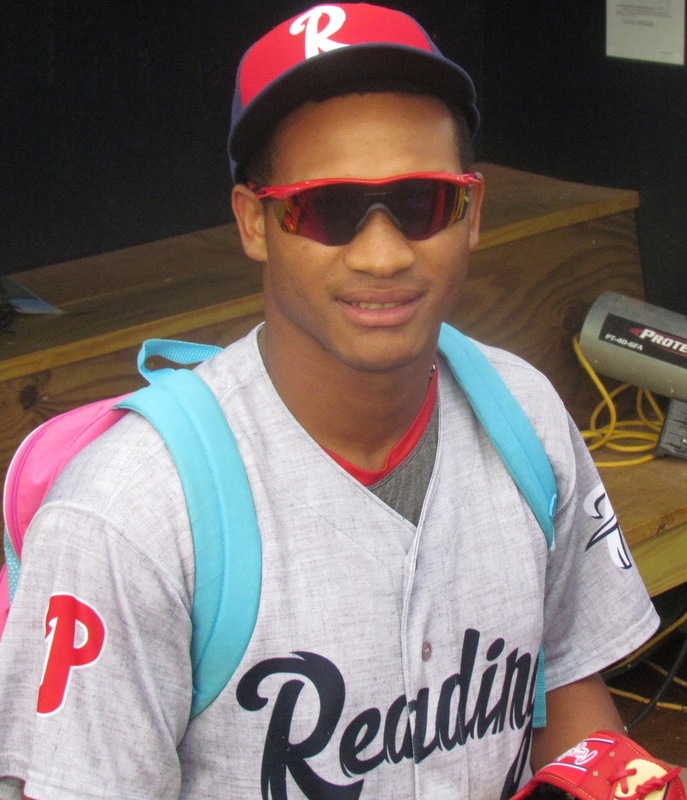 For more exclusive quotes from Joe Jordan talking Phils prospects, click this link.